At MGS, we are happy to process your wild game animal to your specifications. All wild game is processed boneless. Standard pricing on normal cuts include steak, roasts, and grinding. We trim off all sinew, tendons, cartilage, etc. from your choice of cuts. For an additional cost, you can choose and make specialty items from your wild game such as sausages and jerky—a 12 lb minimum is requested. 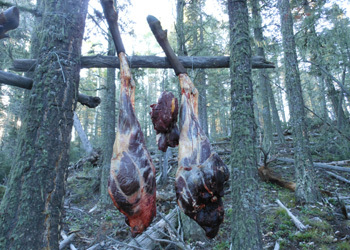 Wild game is generally very lean and needs to be properly taken care of in the field to ensure quality table fare. Wild game should be kept clean from dirt, mud, sand, and vegetation and cooled as soon as possible after harvesting. Use a good quality game bag to store your meat until we receive it. For our out-of-area hunters, we will ship to any of the lower 48 states. We offer approved freezer boxes designed to ship frozen products in. 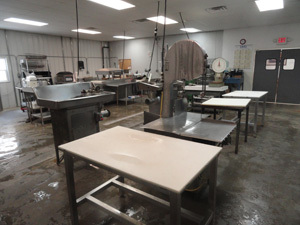 We can also process your meat overnight as a rush order and quick freeze for an additional charge. 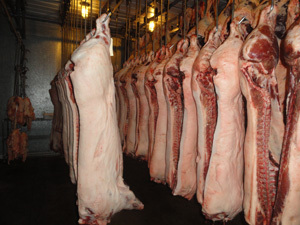 MGS Enterprises also processes domestic game for farmers and any resident who raises animals such as pigs and cattle for food. 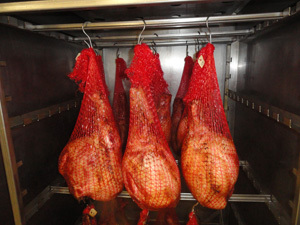 Bring in your animals in any stage of meat processing and we will prepare one of our specialty meat products for you. We offer custom slaughter services. We will slaughter the animal and prepare it for the type of meat product you desire. 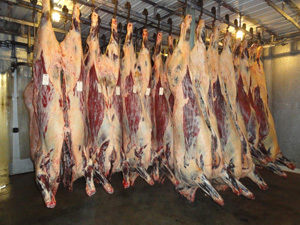 MGS Enterprises focuses on humane slaughtering and a processing technique that best preserves the quality of the meat. Our processing experts also make specialty sausages. These include breakfast sausage, summer sausage, bratwurst, Italian, and link sausage. Our original recipe for green chili cheese bratwurst is a local favorite in the Four Corners area. We also offer chorizo, Polish sausage, snack sticks, and jerky. We base our prices on the size of the animal, type of meat, and curing method, and can process one type of meat or a combination of meat products from one animal. MGS Enterprises cures delicious ham and bacon that surpasses the taste of any grocery store products. Talk to us for more details on how we process the best domestic livestock meats in the area.